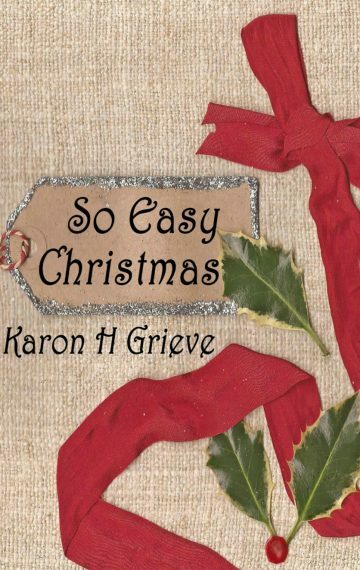 In So Easy Christmas you will learn how to love Christmas and save money too! In our modern world of hustle and bustle, ever changing technology and constant economic crises it is no wonder that Christmas has become the most stressful time of year. For many (mostly the women who have to organize the bulk of the holiday celebrations in their home and family situations) all joy is lost in a haze of worry, money and clock watching. My whole ethos on life is to make things easier. I’m the Homecrafts Expert on BBC Radio Scotland and was Herb and Home Expert on Scottish Television’s The Hour programme. I speak at major lifestyle events including Country Living Magazine Fair, Hopetoun House Present Event and Homes And Interiors Scotland Fair, Scottish Foodies festivals, Scotland Food & Drink Show as well as countless smaller events and I have written regularly for many of the glossy magazines both in the UK and abroad. Homecrafting is my passion and I love to share it with you. In this fun and informative book I’m sharing my secrets with you to make your Christmas as stress free and homemade as possible. For me getting back to basics brings the whole meaning of Christmas back into focus. Putting your own personal touch into all aspects of Christmas is a whole lot easier than you would think and it will save you a fortune too! 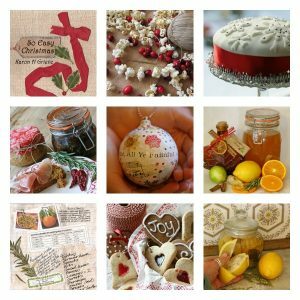 With over fifty different recipe and crafting ideas ranging from creating your own cards and ornaments to mastering a simply delightful Christmas lunch and making fabulous party nibbles to hints and tips for dealing with everything from pets to house-guests. Learn to make gorgeous foodie gifts your family and friends will love. Spiced Coffee Liqueur, Preserved Lemons and Figgy Pudding Balls are just a few of the gorgeous goodies you’ll be whipping up in no time at all. “Essentially a fool proof guide to coping with anything the holiday period can throw at you. So Easy Christmas is crammed with ideas from tree dressing to present wrapping and last minute gifting to rustling up dazzling festive food.” Colin McAllister and Justin Ryan – Scotland’s premier interior decorators and television presenters. Slow Down And Take pleasure in Christmas Homecrafts. People love receiving handmade gifts and I’ll show you simple ways to create useful and pretty gifts that will be appreciated by all your family and friends. From herb infused vodkas to add zing to any cocktail party, to Spicy Mustards and Dipping Oils.. So Easy Christmas will save you money. Why spend a fortune in the shops and online when you can do so many things for yourself. I’ll show you how to do everything quickly and easily, you will go from Zero to Hero in no time at all!